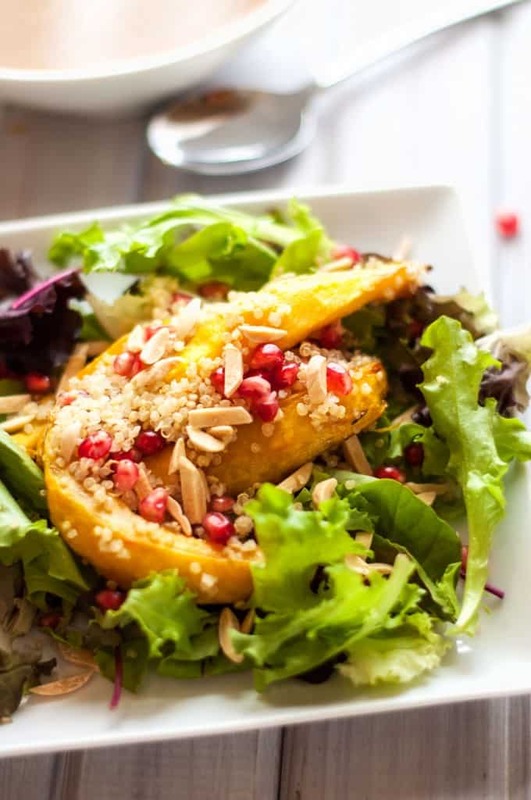 If you are looking for a surprisingly delicious vegan salad for your fall table, give this Acorn Squash Salad a try! With bright pomegranates, fluffy quinoa, and crunchy slivered almonds, this Acorn Squash Quinoa Salad is sure to be the star of the table. I’ll admit that part of me is having a really hard time getting into the spirit of fall. In fact, I’m in complete denial about what time of year it is. I love magazines more than the average person. Thanks to Next Issue, I get them all on my iPad for a single monthly payment which saves a ton of trees and saves me a tremendous amount of money. Yesterday morning, the boys were still sleeping and Skye was having one of her “Miss Independent” mornings, where she would rather play quietly by herself than with me. As a homeschooling Mom to three, quiet mornings don’t happen often. As in, almost never. Taking advantage of it, I grabbed my iPad and decided I’d check out some magazines. I’ve been busy and so it had been a while. I wasn’t prepared to be hit over the head with Halloween. Wait, it’s too early, I thought. Though I’m not quite in the spirit, I am going to fake it today and share with you one of my favorite quinoa salads that encompasses everything that is great about fall. Although I can usually get squash and pomegranates year around, I almost never eat them except for fall and winter. Then I love them so much I wonder why. If using chia seeds, combine with water and stir well set aside for 10 minutes until a gel forms. In a small bowl whisk together mustard, vinegar, lemon juice. maple syrup, cayenne pepper and sea salt. Slowly whisk in olive oil or chia gel until well combined. Preheat oven to 400 degrees. Line a rimmed baking sheet with parchment paper. Toss squash with olive oil and cook for 15 minutes. Drizzle with maple syrup and cook for 10 minutes more. Cool. 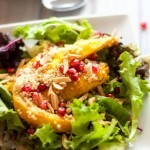 In a medium bowl combine squash, quinoa and pomegranate seeds. Arrange greens on plates and top with squash mixture. 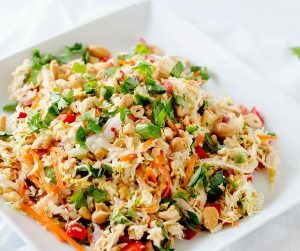 Drizzle with desired amount of dressing and top with almonds. 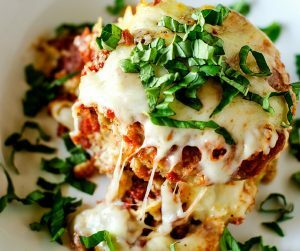 Serve with additional dressing as desired. This salad has so many awesome ingredients!